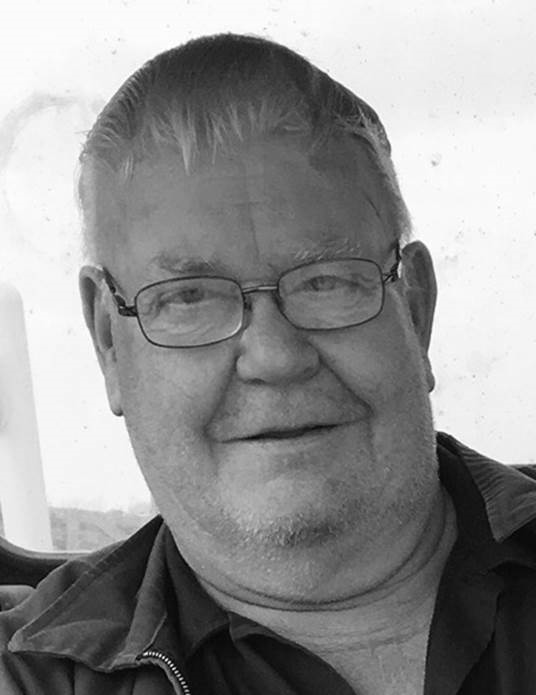 Donald E. Vanderloop, age 75, of Hollandtown, passed away peacefully on Thursday, February 7, 2019 with family by his side. Don was born on November 12, 1943 to the late Norbert and Helen (Klister) Vanderloop. He was a graduate of Kaukauna High School and served in the U.S. Army during the Vietnam War where he was a mechanic. Don was an owner in the family business Vanderloop Equipment. He enjoyed working on tractors, fixing things and cruising around in his red Chevy and GMC trucks. He also enjoyed driving to his place in Florida each year, eating out with his buddies where he was always sure to be giving them and staff a hard time, and he LOVED Cranky Pat’s Pizza. In his younger years he enjoyed watching the races at W.I.R. and other racetracks around the country. He was a very generous and giving person who was always willing to help anyone. Donald also shared a special bond with his granddaughter Nevette and enjoyed camping with her and family time. Don is survived by his children; Lisa (Brett) Brandenburg, Tara Vanderloop, and Julie (Bob) Wolf; his grandchildren; Nevette Schmitt, Tyler Brandenburg, Ashley (Steve) Noe and Nicholas Rogers, and 5 great-grandchildren. He is also survived by his brothers, sisters, and in-laws, Joyce (Vince) Denzel, Dennis (Char) Vanderloop, James Vanderloop (Marge Zimmerman), Marian Vanderloop, and Sandy Vanderloop, Allen (Elaine) Lamers, Lyla (Frank) Griffin, Myra (Tom Foley) Lamers, Kevin (Mary) Lamers, and many niece and nephews. Don is preceded in death by a daughter Kerry Noe, a grandson Adam Pfeiffer, his brothers Anton Vanderloop, Norman Vanderloop and a nephew Scott Vanderloop. He is also preceded in death by his mother Helen (Klister Vanderloop) Lamers, father Norbert Vanderloop, and second father Lyle Lamers. Funeral services will be held at 11:00 a.m. on Tuesday, February 12, 2019 at St. Katharine Drexel Church, (St. Francis site), 433 County Rd. CE, Kaukauna, with Fr. Will Vande Loo officiating. Visitation will be held on Monday from 4:00 p.m. until 8:00 p.m. at the Verkuilen-Van Deurzen Family Funeral Home, KAUKAUNA LOCATION (formerly the Boettcher Funeral Home) 2401 Fieldcrest Dr., Kaukauna, with a prayer service at 7:30 p.m. Visitation will also be held at the church on Tuesday from 9:30 a.m. until the time of services. Military Honors will be held after the service with burial to follow in St. Francis Cemetery. In lieu of flowers a memorial is being established. The family would like to thank St. Paul Home, St. Vincent Hospital, and all of the Dr’s and staff who cared for Don during his illness.